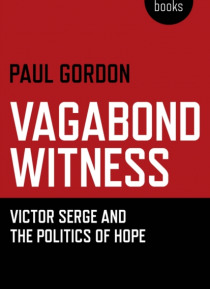 Victor Serge was the first and the greatest witness of the twentieth century. An anarchist in France, a syndicalist in Spain, a critical Bolshevik in Russia, an agent of the Comintern in Germany and Austria, an exile, Serge once said that people judged history, but they did so without knowing what really happened and who the actors really were. All his work - novels. reportage, poetry, criticism -… was an attempt to show what really happened, and why. Serge never lost hope, that ordinary people would act for themselves and take control of their own lives. On the ship taking him to exile in Mexico, where he would die isolated and in poverty, he recalled, The Russians and Spaniards among us know what it is to take the world into their hands, to set the railways running and the factories working...no kind of predestination impels us to become the offal of the concentration camps.